Shawn Bain on What is a Christian Man? Patrick Bond M on What is a Christian Man? I told myself as I sat down with my second plate. Living in the hills of Eastern Kentucky, there is not much to do with friends on a weekend night except eat. Whether that is to have someone over to your house for dinner or head to town for Mexican or Chinese. As Baptists, we have become good about “breaking bread with one another” and tonight was no different. As a child, I struggled with my weight and it has continued into adulthood. I am a part of the 35.7% of 20-29-year-old that the CDC considers obese. Most people don’t like admitting that they struggle with their weight. Or we do but it is done in a vain attempt to offset the stigma that is associated with a larger than average belt line. I know for me; a diagnosis of a thyroid condition was a sigh of relief. Yes, it explained why my weight seemed to fluctuate more than Oprah on hiatus. But deep down it gave me an excuse to be fat. It wasn’t until I began to examine the sin in my life that I realized my lifestyle wasn’t a struggle of weight, it was a struggle with sin. I know that sounds harsh, and some will even be mad about that. And a year ago I, too, would have been there as well. After all, I am a child of God that has been made in His image. I am valued and loved by Him. Why should I be critical of myself? 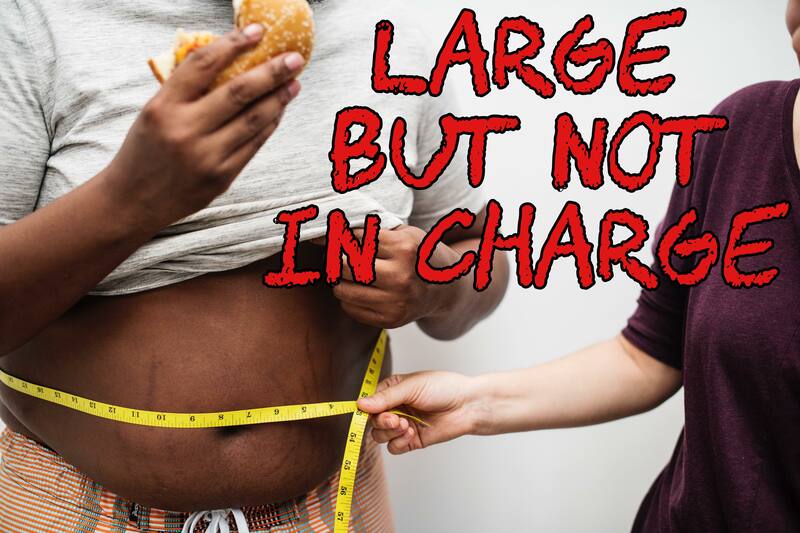 But when we examine the issue of obesity in light of Scripture, we can see that we are not being critical of ourselves when we call overeating a sin. Rather we are being critical of the actions that lead to a lifestyle that prevents us from serving the Lord to our fullest abilities. This is not to say that the legitimate health issues that cause weight gain are the sin. There are actual medical problems that cause unexplained weight gain and that is not the problem. However, the act of overeating for the sake of indulging in the desires is a symptom of a bigger problem. While being fat in, and of itself, is not inherently sinful, it can be indicative of a greater sin problem. The Bible speaks on the overindulgence of food in Proverbs 23:20-21 when Solomon writes “Don’t associate with those who drink too much wine, or with those who gorge themselves on meat. For the drunkard and the glutton will become poor, and grogginess will clothe them in rags.” Here we see that Gluttony is placed alongside drunkenness. And yet, while most would classify drunkenness as a sin, we chose to turn a blind eye to gluttony. I guess it’s because it is easier to condemn a sin that we don’t struggle with than it is to admit that we are wrong and have sin in our own lives. Failure to recognize our health as a priority in the life of a Christian is a direct failure to recognize the importance of 1 Corinthians 6:19. Although Paul was speaking towards sexual immorality, the fact remains that our body is a temple. While it is one thing to put off going to the doctor because you don’t have time, gluttony stands as the systematic destruction of the temple of the Holy Spirit and it should be treated as such. Don’t believe me? The health effects of obesity should be proof enough. The list is extensive and includes heart disease, high blood pressure, type 2 diabetes, gallbladder disease, and sleep apnea. Not only that but it also includes certain types of cancer and even mental health problems such as depression. Why is this so important? Because we need to stop downplaying gluttony as being this tiny little problem and start recognizing it as a sin. A sin that is leading to the very destruction of the church. It is a sin that is killing off members, leading to a low quality of life, and robbing the body of Christ of its full effectiveness when it comes to the spread of the Gospel. The Gospel is the power of God unto salvation and it has the power to change lives. If the messenger gets winded climbing the stairs to the pulpit, then how can he effectively proclaim the message? I know this is harsh. And I know that some are going to look at me and call me a hypocrite. That is fine. This message is one that needs to be heard and told. Sin is still sin regardless of whether the messenger can see his feet or not. We need to stop looking at the growing size of the Bible belt as a health problem and start looking at it as a Spiritual problem. But there is hope. The Gospel of Jesus Christ is one that can change lives. And when we view gluttony in its proper perspective, we can begin to move forward.